I'm so excited to hear a family story from Danny Scholles. I love family stories that show struggle and success. You can learn so much from your ancestors trials. Thank you Danny for sharing this amazing story. My Great-Grandmother Gene was always happy to tell a story but her very favorite thing to tell us about was her Grandfather "Daddy Sutton". You could tell it was her favorite because her eyes would light up and extra warmth would come into her voice. As I've pieced together parts of his life I'm in awe of his accomplishments and grateful to my Great-Grandmother for giving life to his story. W.D. Sutton was born the 5th of 12 children on 1861 in a covered wagon. His family was very poor and he had little education. W.D would travel with his father from town to town peddling goods. He later worked in his fathers store, a mine, a boarding-house, the city jail, and a fire department. He married a school teacher named Susie Jackson in 1884. They bought a boarding house in Park City he called the Kimball House they ran it together for 10 years. He bought a butcher business and this became his primary work. In 1898 an enormous fire swept through Park City and destroyed most of the town. W.D lost everything but started reestablishing right away. 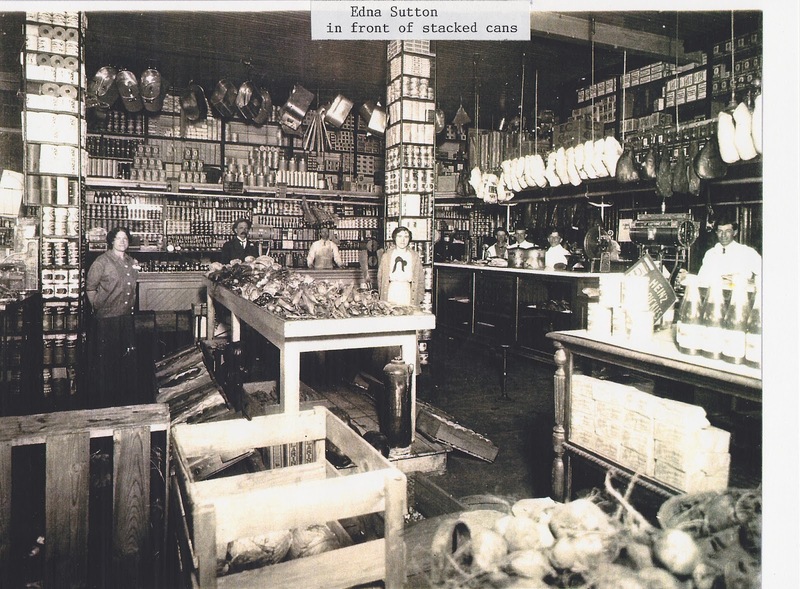 He owned a slaughter house and within two days he opened a new "store" for business in the Union Pacific Depot. 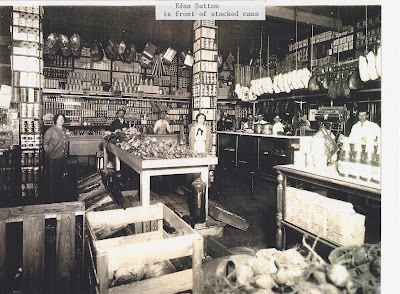 He ordered a train carload of groceries and opened the first combination meat and grocery store in Utah. Three months later he finished his new grocery store. He also ran a Ford agency, and bought a ranch. 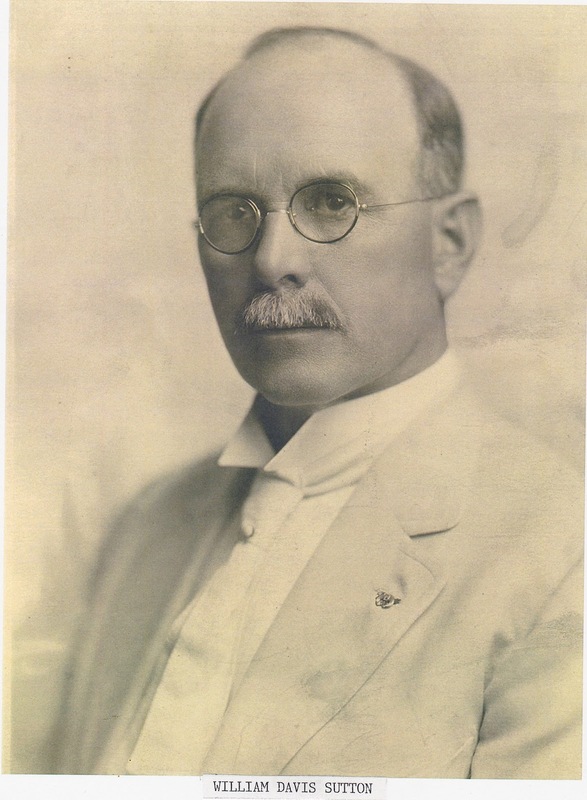 In 1916 he entered a partnership and took control of the Newhouse Hotel in Salt Lake City. He moved to the hotel and lived there until his death. My Grandmother always told us about his big wall of family pictures that all the children loved to look at. 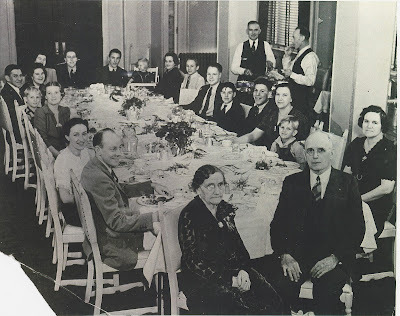 She also loved the big Thanksgiving dinners they had at the hotel. She also told us that among his other good deeds he started a tradition of providing the children in Shriner's Hospital with Thanksgiving Dinner. I'm in awe of Daddy Sutton's accomplishments and perseverance. And I'm forever grateful to my Great-Grandmother for sharing her love of him with me.